Regardless of which holiday you’re celebrating, it’s always festive and fun to set up some dazzling display. Halloween is over, and the holidays are fast approaching! It’s time to start considering how you’re going to decorate your yard for the occasion. Regardless of which holiday you’re celebrating, it’s always festive and fun to set up some dazzling display. It can be a family activity or a form of self-expression. Are you stuck thinking of cool, original ideas for your outdoor lighting project? Here are some DIY ideas for you! 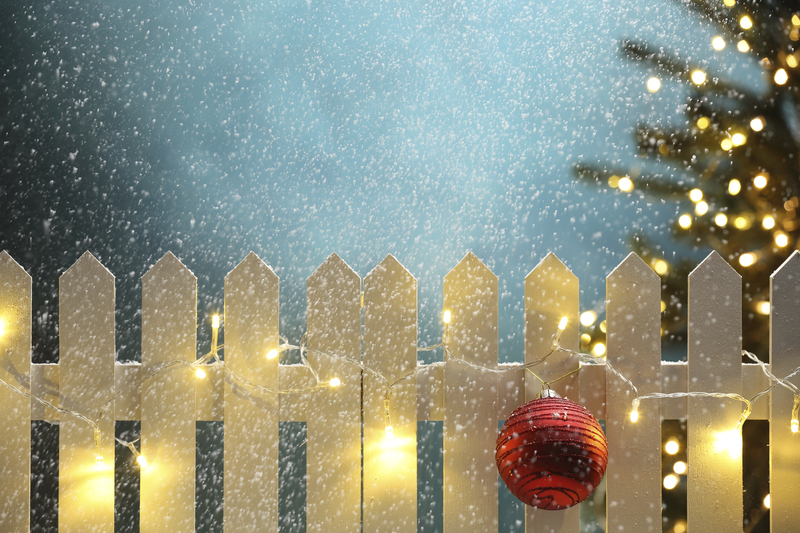 You can hook all of your outdoor lights up to a timer to ensure they turn on and off at the appropriate times. Even if you’re not home when the sun sets, your home can still sparkle in the night. Timed light systems can also be used to create an awesome light show–there are some great Youtube videos that can show you how to do this! It’s time consuming and frustrating to wrap a string of LED lights around each of your shrubs. If you’re looking for a quick and easy solution, you should invest in net lighting. At any holiday store or department store, you can probably find them for cheap around the holidays. They’re simply lights in an even net shape which you can drape over your shrubs. Problem solved! It’s important to ensure that your walkway is well-lit during the holidays, as you’ll probably have plenty of visitors, from carolers to family. To keep your walkway welcoming, take advantage of all your shrubbery and foliage lining the path. If you lack the greenery, you can also look for cool pathway solutions at your local holiday store. 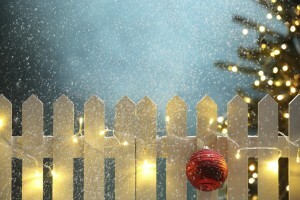 Don’t forget to prepare your deck and fence for the holidays with Mid Atlantic Deck & Fence!